Forty-six year old Reverend Ernst Toller is the pastor at the historic First Reformed Church in upstate New York. It is seen as the "tourist" church or the "souvenir shop" (its historical significance partly it being a stop on the underground railroad before the slaves crossed into Canada) by Abundant Life, which owns the church and which operates a modern self-named five thousand seat church overseen by Reverend Joel Jeffers. First Reformed is celebrating its two hundred fiftieth anniversary this year, for which a major event is planned, modest in size only at First Reformed itself although the dignitaries like the governor and mayor will be at attendance there, while the event will be simulcast at Abundant Life. Most of the speech-making will be done by local industrialist Ed Balq, a major benefactor of Abundant Life and who is the major donor for the necessary upgrades at First Reformed to be able to hold the event there, and for the event itself, while Toller"s participation will be minimal beyond the introductory sermon. First Reformed is generally a sparsely attended church meaning that Toller doesn"t have to do much direct ministering, although he does have the stock answers when asked how God factors into this or that situation in one"s life. Toller himself has long been divorced, his marriage which could not survive the death of their son, Joseph, in war. Because of that history, Toller believes he is incapable of human love, despite a brief relationship with Esther, the choir mistress at Abundant Life, she who is arguably still in love with him. Toller is neglecting the warning signs about his poor health, the symptoms pointing to a probable diagnosis of stomach cancer, which is only exacerbated by his largely liquid (i.e. alcohol) diet. Toller is already examining his life and work in writing a daily journal for a year, that journal which he intends no one ever to read, but these issues in Toller"s life become more pointed when a new pregnant congregant, Mary, asks him to speak to her husband Michael, who Toller will learn is an environmentalist concerned about bringing another human life into what he already sees as a world doomed because of man"s role in climate change. 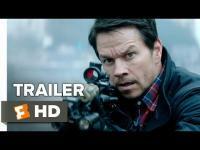 From Paul Schrader and starring Ethan Hawke, Amanda Seyfried, and Cedric Kyles. 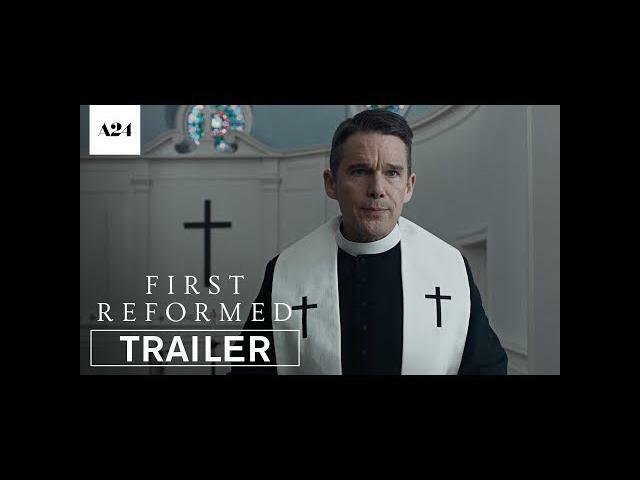 First Reformed – Now available for rent or purchase (links below).